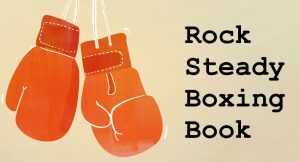 Rock Steady Boxing or RSB is a non-contact program with a fitness emphasis that reduces or eliminate the symptoms of Parkinson’s Disease or PD. The purpose of this campaign is fundraising to write (while traveling to different affiliates nationwide & the world) a book called, “Rock Steady Boxing: Parkinson’s Disease From a Volunteer’s Perspective”. It started as a way give back to the Parkinson’s Disease Community by volunteering. Little did I know, it would change my life. My experience as a volunteer at the Rock Steady Boxing chapter in Hot Springs, AR is just one of many that the world deserves to hear. These boxers have done more than learn to live with an aggressive, potentially debilitating disease. They’ve risen above. When you give here, either financially or with a personal story of your own, you’re lending a rock steady hand to the fight for a Parkinson’s cure. Donations any amount will help fund the writing and promotion of a book that can spread this inspiring story to the masses. By contributing, you’re helping to fund a lot more than a book. You’re helping to ensure that it’s told right, and that these real stories receive the promotion they deserve. Funds gathered here will go toward the detailed research necessary to get every story just right, costs for conducting personal, in-depth interviews and travel expenses to support extensive book promotions so this story of overcoming Parkinson’s Disease can reach as wide of an audience as possible. Join me as a co-author of this important story by contributing your donation.